I use long exposures more often than not in my landscape photography, and I have done so for more than three years. Here, I share some tips on how to do it, but most importantly, why I do it. 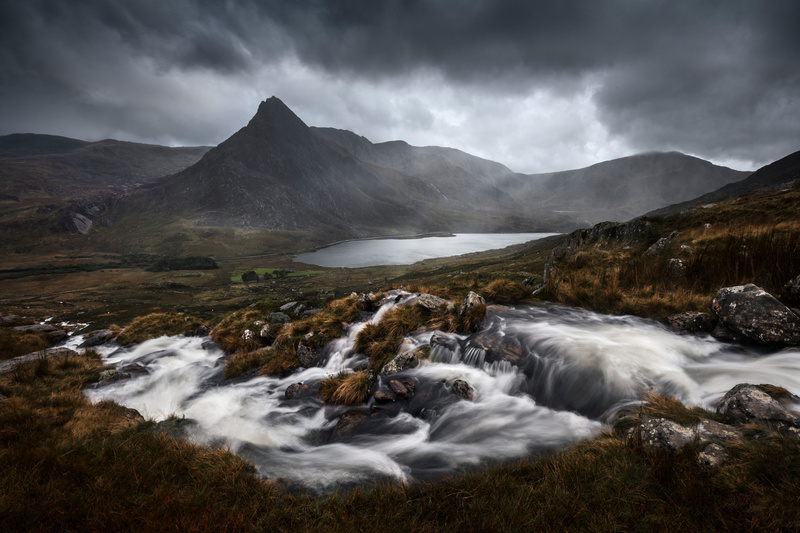 The effect of long exposure is one of the most used in landscape photography. These days, it sometimes feels as if all landscape photography with movement has been long-exposed. I was guilty of this when I started out in landscape photography. All scenes with moving clouds or water wer shot with a ten-stop filter and a random exposure time to get everything smoothed out. Why? Well, it looked cool! As time has passed, I have become more aware of my art and why I choose to add certain effects. 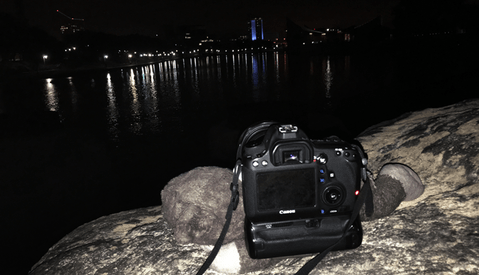 Here I share some of my experience in tips form for long exposures. The long exposure effect is commonly used in landscape photography. The main reasoning behind it is to smooth out things in movement such as water and clouds. Some do it to show the movement, while others like it for simplifying the scene or giving it an ethereal look. Some again just like the look of it, and some simply need to do it to collect enough light; an example of this could be night sky photographers. I do, however, urge you to think about why you use it and not just do it because it is popular. It is popular for a reason, but after all, it is just an effect and effects alone do not make a good photo, just as special effects alone do not make a good movie. To generate the long exposure, you will need a camera that can photograph in manual mode or where you at the very least can control the shutter speed. The long exposure is obviously based on how long you expose, which is controlled by the shutter speed. Whether this is 1/10 of a second, 1 second, 30 seconds, or 30 minutes, you will need a camera that is able to do that. These days, almost all entry-level DSLRs, mirrorless, or hybrid cameras have a sort of manual mode. Even some smartphones can create long exposures these days. 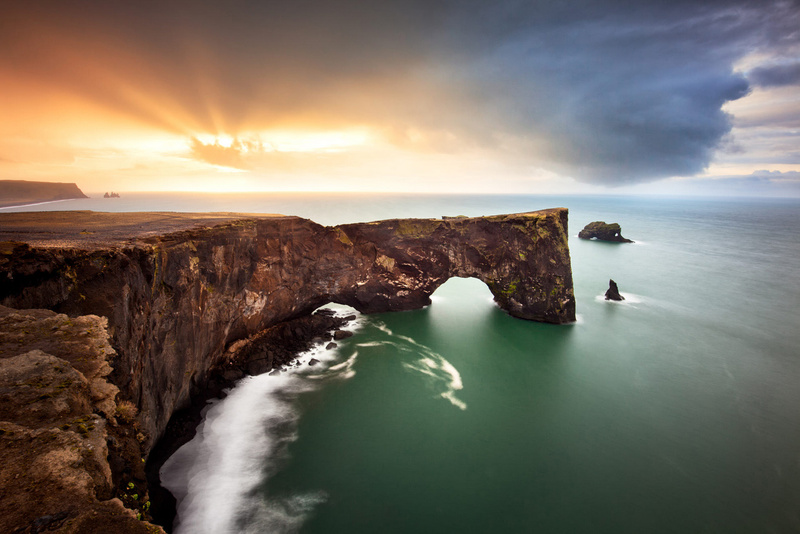 The longer you expose the scene to get the long exposure effect, the more light you let onto the sensor. To get a proper exposure, you are forced to compensate by closing down the aperture or lowering your ISO. In most scenes during daylight, whether or not it is overcast or not, adjusting the aperture or ISO is just not enough. Here, neutral density filters (also known as ND filters) enter the equation. Filters are basically sunglasses for your camera and the stronger the filter, the less light it lets through. The effect of filters is measured in stops, just as the other exposure parameters are. I have ever only used a 6-stop and 10-stop filter, which has been enough for my photography. When the camera exposes for a long time, all movement will be blurred. 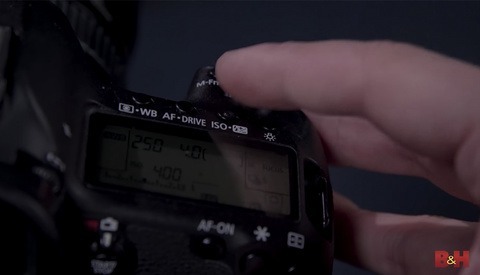 If you move the camera or it shakes during the exposure, the entire scene moves, and you get a blurry photo. A tripod is a fantastic tool for holding your camera still. The sturdier a tripod is, the better it holds the camera still. For tips on this, check out my article on that subject. 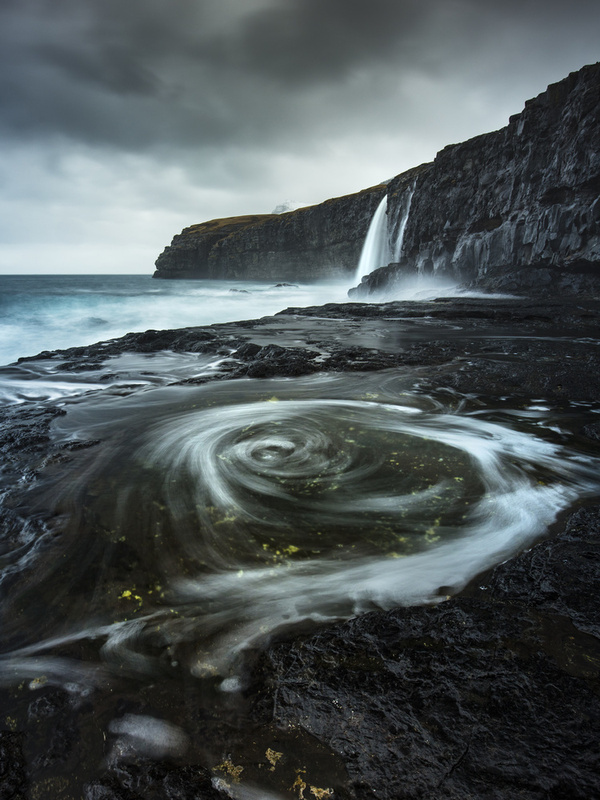 If you are photographing near the ocean or a waterfall, you might get water spray on your lens. A microfiber cloth is what you will use to wipe off the lens or filter. As movement in the scene is smoothed out, you will have to consider that when you compose it. The scene still needs a focal point (for the most part), leading lines or elements, depth, etc. What is it you want to show the viewer? Will the smoothed-out water make a difference concerning leading lines and visual flow? This tip is related to tip one, but I think it is important to emphasize. 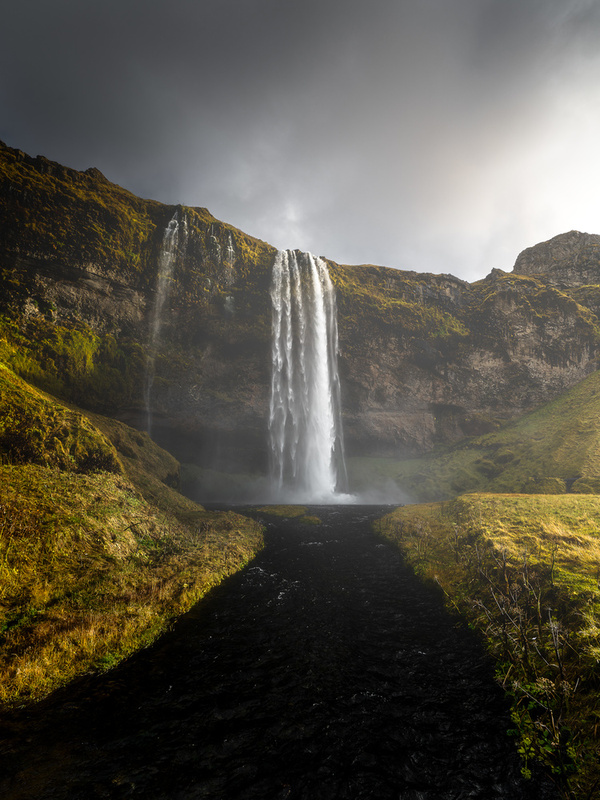 Related to why you choose to make a long exposure in the first place is choosing the appropriate shutter speed relative to the scene or story you want to show. 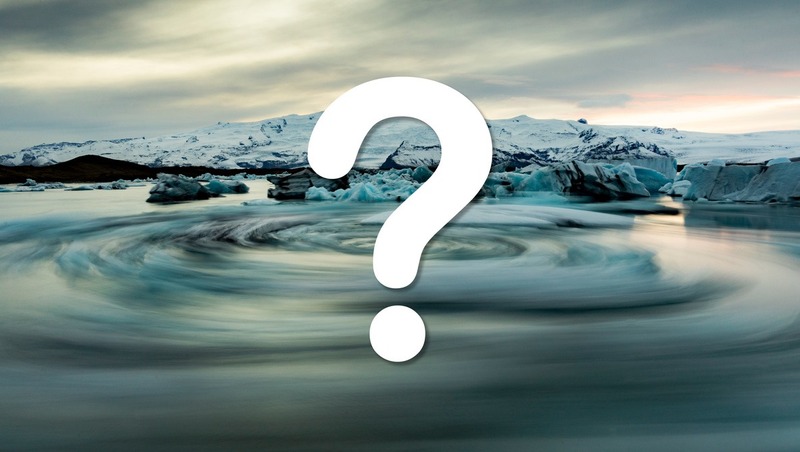 Is it a waterfall, stream, waves, grass, clouds, trees, cars, people, or something else? How fast does it move relative to your camera? Different shutter speeds makes very different effects. The difference between 1/3 of a second and 0.5 seconds can make a huge difference in how long the streaks of an exploding wave will be, not to mention what happens if you choose a 30-second exposure on the same scene. In the photo below, I tried a few different shutter speeds before I settled on 0.6 seconds, which for me, gave the best result for showing movement and drama without blurring the water too much. In the end, you might also benefit from thinking why you should not make a long exposure. In the below photo, I chose a fast shutter speed, because I wanted to show how the water is spread by the air when it falls down. This gives a good idea of how big the waterfall is. Had I used a slow shutter and smoothed out the water, the sense of scale would disappear. I learned this lesson some years ago while making a 30-second exposure of the ocean (photo below). The scene was nice and smooth, but as a viewer, you completely lose the sense of scale, as you cannot see any waves, water particles, or seagulls. And as people who have visited this location know, this place is huge! 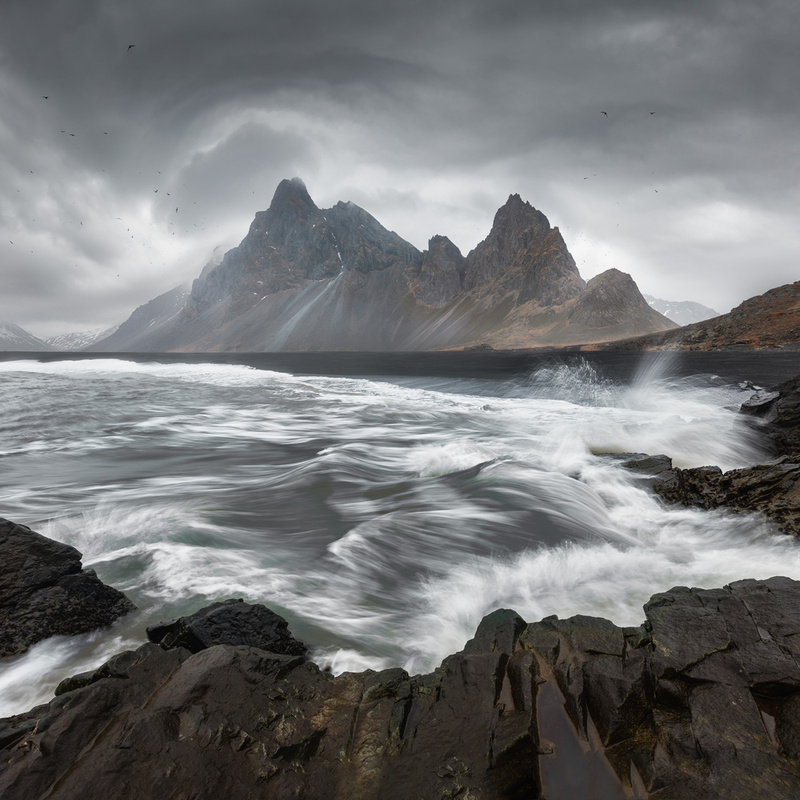 This made me very aware that long exposure is not the answer to all great landscape photos. After all, it is just an effect, and effects are to emphasize something else. What about you? 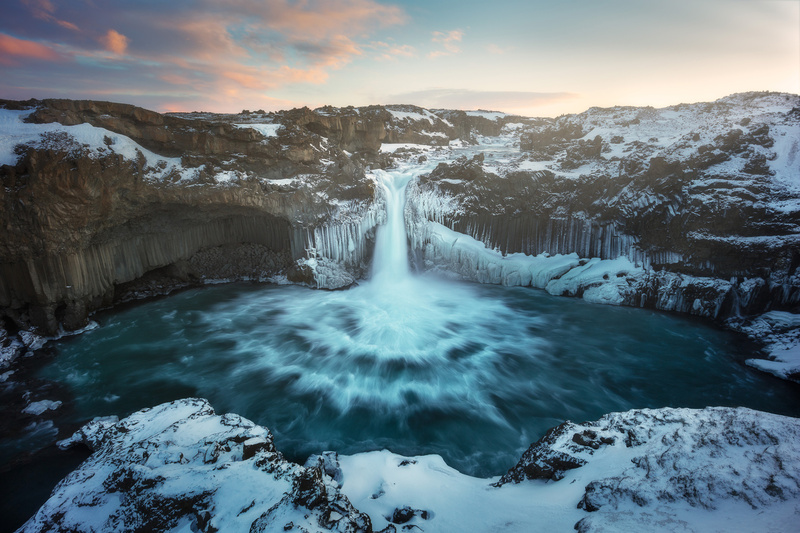 Do you feel you have overused the long exposure effect? Do you have any tips on the subject? Write down below and let us start some exchange of knowledge. Hate to be stickler for grammar but the title should be "Too long" instead of "To long". Not necessarily. Shakespeare wrote it as "To be, or not to be, that is the question:" which I think is what the author's title was quoting. I was struggling with that too but I think he meant it as a decision. i.e. "Should you use long exposure or not use long exposure." The title is correct. “Long expose” is a compound verb and is thus preceded by “to.” It’s a tip of the hat to Shakespeare, as mentioned. Fair enough. I guess I read it differently. Kudos for recognizing and admitting to your err! It caught my eye, until I realized it was in the context of Shakespeare's verse. Landscape photographers need a strobist's version of "drag the shutter". To Long Expose just sounds made-up! Thanks for the article Mads. I use the Ice 77mm ND1000 Solid Neutral Density 3.0 Filter.I have a D750 Nikon. I shoot the ocean and I need a ND filter I can use right away and not mess around setting up. I'm into simple photography with quality. I've done pretty good with this approach, especially on the beach with an active surf. The Ice allows me to use the filter through settings of the ISO, apature of the camera without over thinking. Always enjoy your writings. Tip 7 "Choose the Shutter Speed Appropriate to the Scene" is most important one as your progress in landscape photography. I had started long exposures with 10stop and shot everything with it and in short time realised that I smoothing out everything and there is no drama in the very long exposure pictures. Later added 6stop and 3stop to my collection and now 6stop is most used filter for this specific reason. Now for me 3stops for most waterfalls, 6stops for general use and 10stops for seascapes when in bright lighting conditions. 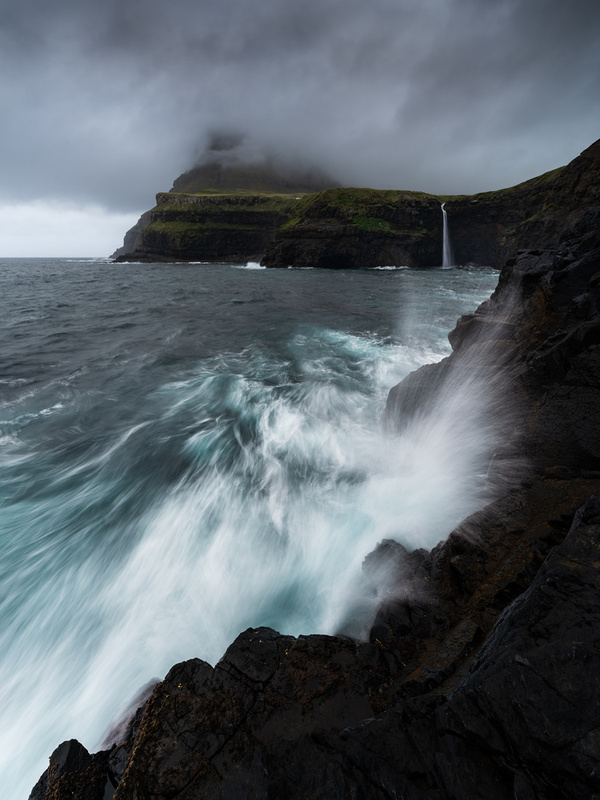 Nowadays it has become a bit of a n00b mistake to do long exposure on waterfalls or waves (like more than 10 seconds). It can work in rare cases, but in most you wanna keep some details in the water. It is fun to try it on everything at first, but don't expect the results to be mind blowing. I also find myself doing more and more long exposure in photoshop, taking multiple images instead of using the ND filters. That way you don't need a tripod, and the (rare) waterfalls I photograph are in the mountains, where I'm not too keen on carrying a tripod. Also, to the people who have an IBIS sensor out there, can you do a handheld 0.5 s shot of a waterfall ? People who reviewed cameras like the Sony A7 III said it was possible. I don't know if it relates to your question but I use a a7rIII and have made 0,3'ish handheld waterfall shots. Great article, I'm a huge LE junkie myself. The biggest mistake I see people making is just thinking a long exposure itself will make a good photo without considering a subject or composition. I see a lot of people taking photos of traffic as their main subject rather than using the traffic to form leading lines to enhance a subject. I'm always looking for new ways to use LE to enhance a subject. I recently took a trip where I knew before even getting there I was going to use a long lens with LE to make some abstract nature shots, not sure if they are the best in the world, but I like them. It's so important to think about the final photo as you're setting up for a LE. It can mean all the difference between a great shot and wasted time. Awesome article with very useful tips Mads! Excellent job man. Good article. The Kirkjufjell picture is a good use of LE getting the smoothing in the water (normal) but also using the interesting movement in the clouds to get an unusual shot. As you say, 0.5s is a good starting point for many water movement pictures but it's not the solution for every occasion! Thanks, Blake. No setting is perfect all occasions. 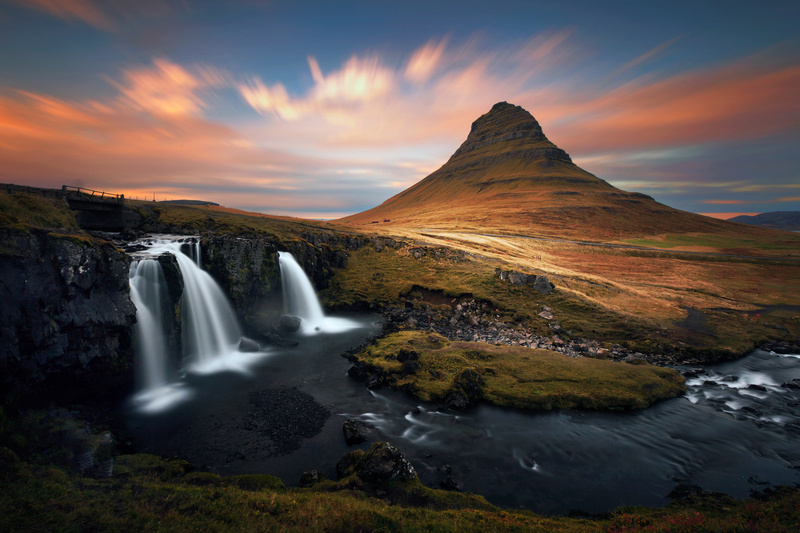 In the Kirkjufell photo, I personally think it could have benefitted from a 0,5s exposure for the waterfall part. I think it is way too smooth looking back at it. some time ago I saw a video, where he did long time exposures and also some short time shots and he added some drops and water splashes from the short time into the long time shots later in PS. I tries it and it worked great! 1. shot in burst mode - at least 3-5 images, depending on the speed of the moving object - the more, the merrier. You can always use less of them in post, but if you don't shoot enough of them, you're done.